Spam. Mystery meat. No thanks. Nasty. Who eats that stuff? I wanted nothing to do with Spam. I didn’t even know what Spam was – only that it was something to be avoided at all costs. I heard that it was popular in Hawaii and that there, people eat Spam on their sushi. Really?? Then, Heidi Berger posted several times on my Facebook page about Spam cupcakes. “Trust me when I say Spam cupcakes are NOT gross ;-),” she insisted. I didn’t trust Heidi. I *knew* that Spam cupcakes would be gross because Spam is disgusting – meat in a can just isn’t right (I blindly thought, having never ingested it). Would homemade Spam be better? 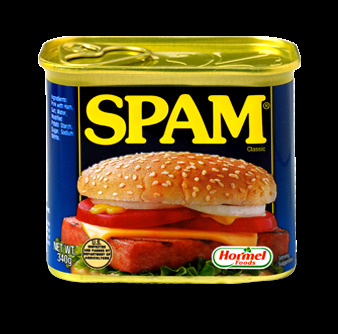 What gives Spam its flavor, and could I make a version myself that I would feel comfortable eating? Would my homemade version of Spam then make for a tasty cupcake flavor? I had to find out. As many of you know, Spam stands for spiced ham. It’s made with pork shoulder and ham. The ingredient list is actually quite small and contains nothing too scary: Pork with Ham, Salt, Water, Modified Potato Starch, Sugar, Sodium Nitrite. Before I made my homemade Spam, I had to buy a can to see what it tasted like. 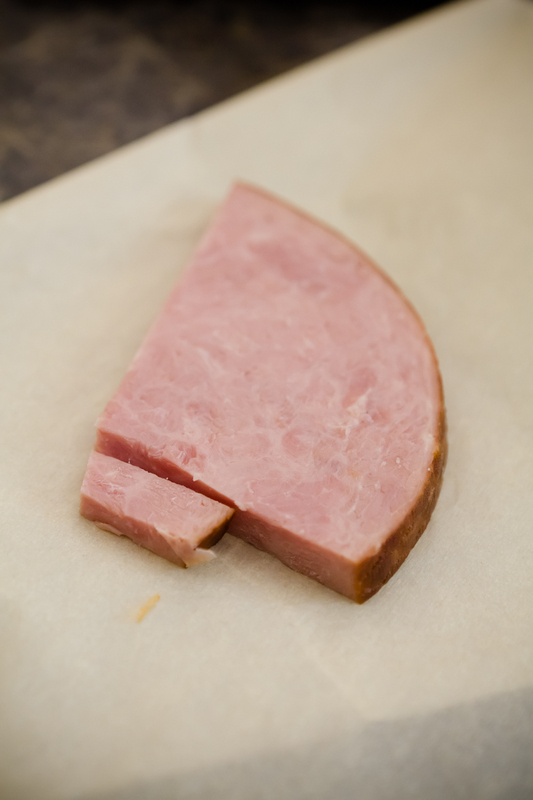 I found that Spam tastes like salty ham – very, very salty ham. It wasn’t nearly as bad as legend had it. If I ever bought Spam again, I would definitely buy the low-sodium version. How Did Homemade Spam Compare to the Can O’ Spam? a couple cloves of garlic, and Morton’s Tender Quick (salt used for curing meat that also gives the homemade Spam its pink color). The end result tasted pretty close to Spam. It was just about the right color, the texture was similar (not quite as slimy as the original), and the taste was the same, although significantly less salty. Why Bother Making Homemade Spam? The best reason for making homemade Spam or homemade anything is that when you make it yourself, you know exactly what is going into it. Homemade Spam is decidedly not mystery meat. It’s just plain old pork and ham. Mix it with greens and black eyed peas for a rich and flavorful casserole (don’t add any extra salt to the mixture as there’s more than enough salt in the Spam), use it on Sushi (I’m still a little skeptical about that one, Hawaii), and save some for homemade Spam cupcakes (the surprisingly good recipe is coming soon). It was really hard to find a recipe for homemade Spam. The closest thing that I could find was a post on Morgans Menu which describes the general idea of how to make Spam, but is short on specifics. I used that post as a guideline, however I strayed from her suggestion of using duck and chicken in addition to the pork and ham. I wanted to stick with the classic mixture of pork shoulder and ham. I also got some assistance from Chef Chuck Friedhoff who pointed out that Spam is really just a pâté and encouraged me to look at pâté recipes. I never thought of that before, and I now wonder if a gourmet restaurant could get away with serving Spam if they just called it pork pâté. 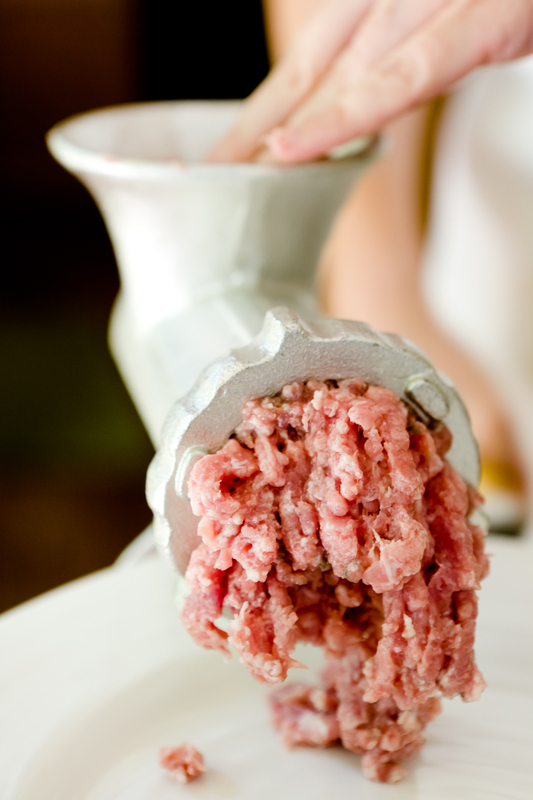 Grind the pork shoulder in a meat grinder (I used a tabletop meat grinder, but the KitchenAid meat grinder attachment would probably have been easier). Set aside. 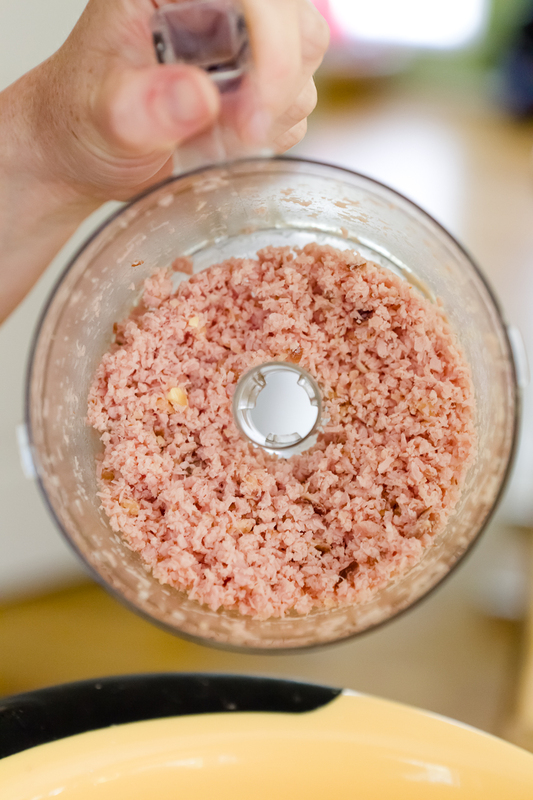 Finely mince the ham with the garlic in a food processor (I used my mini Cuisinart). 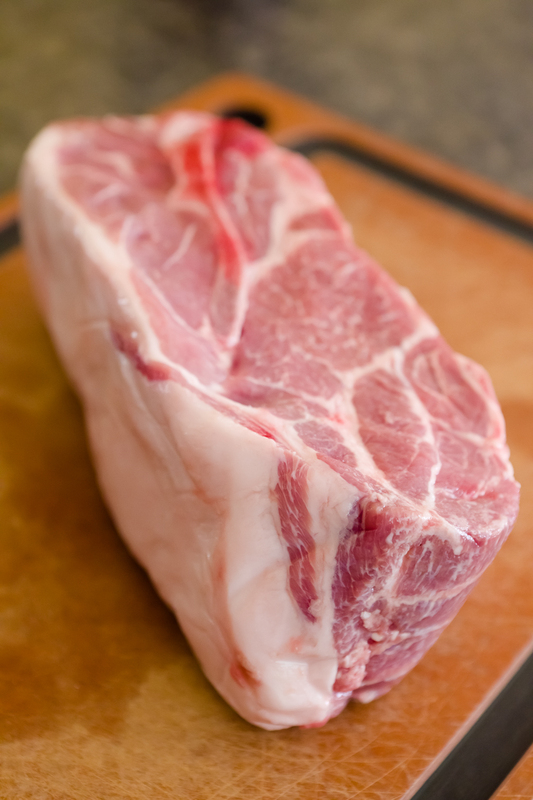 Dump the pork shoulder, ham/garlic, and Tender Quick into a large bowl and mix by hand until fully combined. 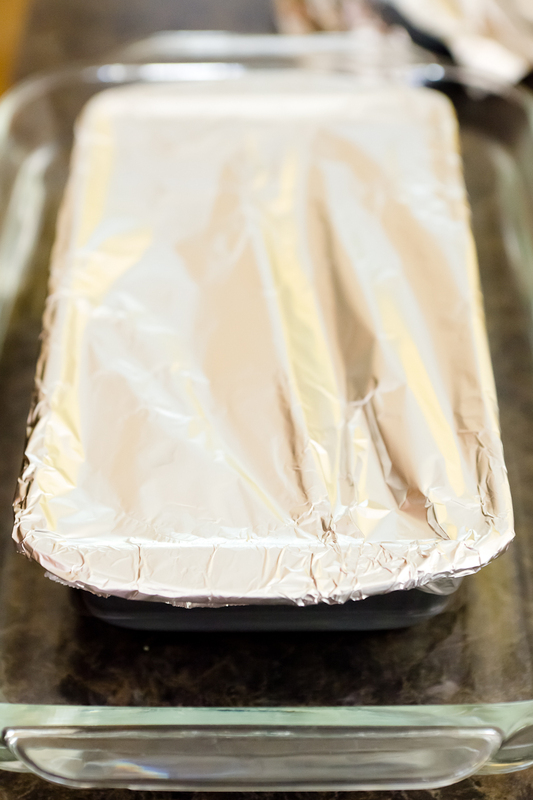 Pack the meat mixture into a bread pan and cover with foil. Place the bread pan into a large baking dish filled 3/4 full with water. 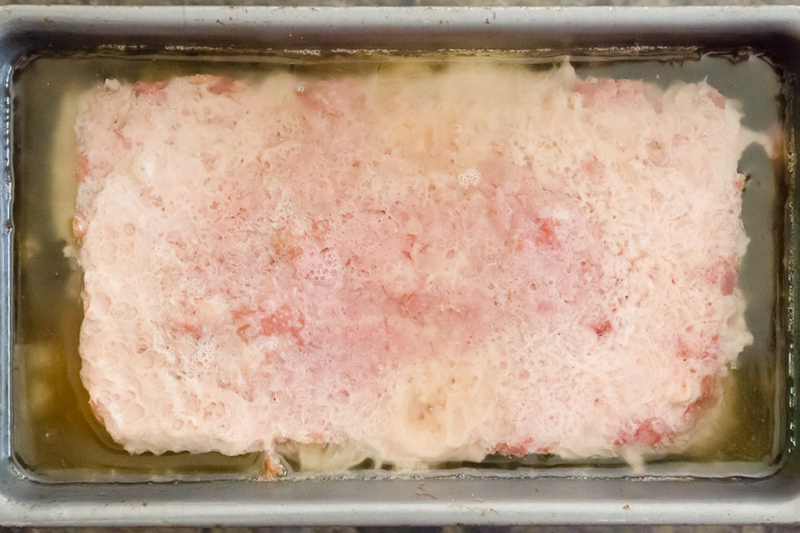 Place the baking dish in the oven and bake for three hours (the internal temperature of the Spam should reach 155 F). 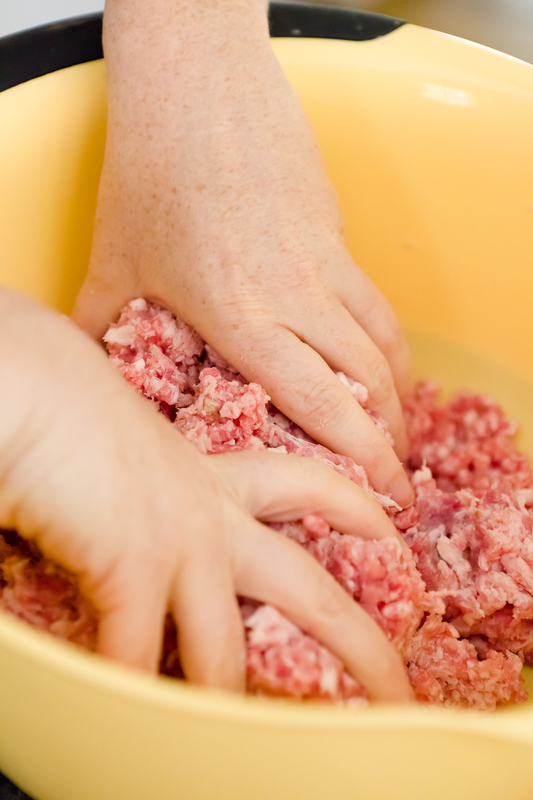 Remove from the oven, uncover the bread pan and try not to be too grossed out by all of the fat that has emerged from the meat. Nonchalantly dump all of the fat into a jar or can to dispose of later. Note: During my first attempt at making homemade Spam, I neglected that step. When I later pulled the Spam out of the fridge, it had a layer of white creamy fat on top of it and a layer of natural Jello under that. I could barely stomach it. 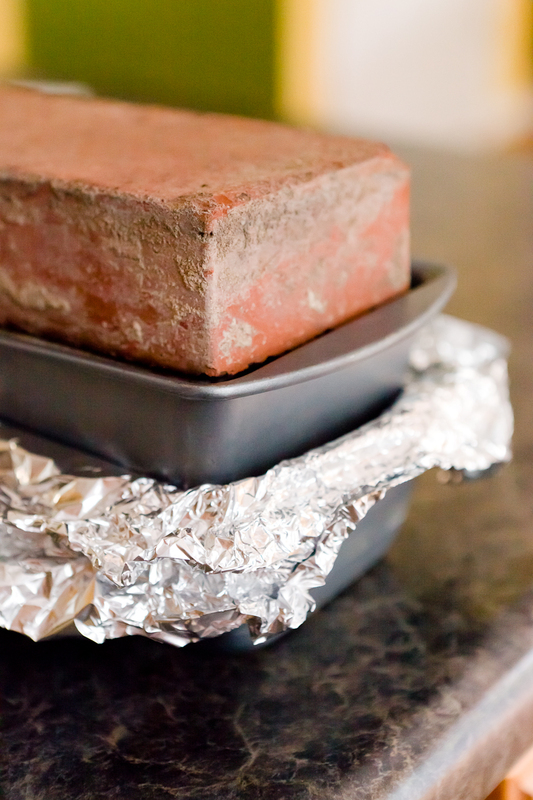 Cover the bread pan loosely with foil and place a heavy weight on top of the foil. I took bricks and put them in another bread pan and put that bread pan on the Spam. You may need to get creative, but I’m sure you can find something in your house that will work. Place the weighed down Spam into the refrigerator and keep it there overnight. In the morning, your Spam will be ready to use however you choose to use it. Note: The homemade Spam is not canned, so it will not last forever. Keep it as long as you would keep ham.